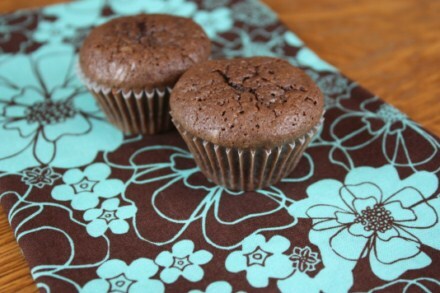 You may have guessed by the amount of chocolate recipes on this site that I love chocolate. And today I have yet another chocolate recipe for you. I recently made Brownie Bites for my family and decided that I needed to come up with a gluten free version for those in the family that eat gluten free. What I loved about these are that they are bite size, well actually a couple of bites, but they are small. I can have one and feel like I had dessert, without having a lot of dessert. I also like that fact that these are easy to keep in the freezer. Right now I have a bag of gluten free brownie bites and a bag of regular brownie bites waiting in the freezer for when I need a dessert. Melt 2 cups of chocolate chips in the microwave with the butter. Stir every 30 seconds until melted. Stir in eggs, sugar, vanilla, and salt and mix well. Stir in sorghum, potato starch, tapioca flour, and xanthan gum just until incorporated. Add remaining 1 cup chocolate chips. 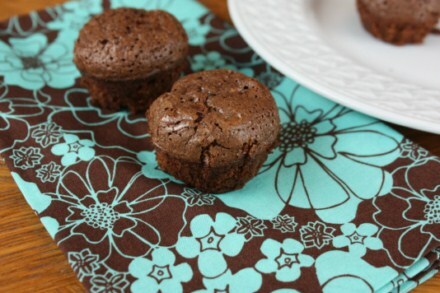 Pour batter into prepared mini muffin cups. Bake at 350 for 12- 15 minutes or until done. MMMMMMMM,..Your chocolate brownie bites look bite sized delicious!! I can’t even imagine the fat and calories in these but they are A-mazing! Good thing they are bite sized. Perfect. I am out of tapioca flour, would it work to use arrowroot?